POSTPONED! June Swap: Needle Book is now a JULY SWAP! It’s time for the June July swap and this month we’re making needle books. We love these handy books and usually have one stashed with each of our hand-stitching projects. There is only one rule for this swap – your book should be no smaller than 3″ x 4″. You can find a great tutorial at this blog. 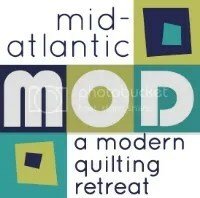 Some Pinspiration can be found on our NJMQG Pinterest page. So… dig through your scrap bin, find some vintage fabrics like hankies or sheets, a bit of felt, and some ribbon and whip up a Needle Book! Bring one to the June July meeting and you’ll leave with one. Any questions? Leave them in the comments and we’ll address them!